Happy Thursday all! Spring is here and everything is finally warming up here in northern Virginia:) This one uses the new stamp set Weather It and the matching dies. As soon as I saw the sentiment, I knew I would go gold (natch:). 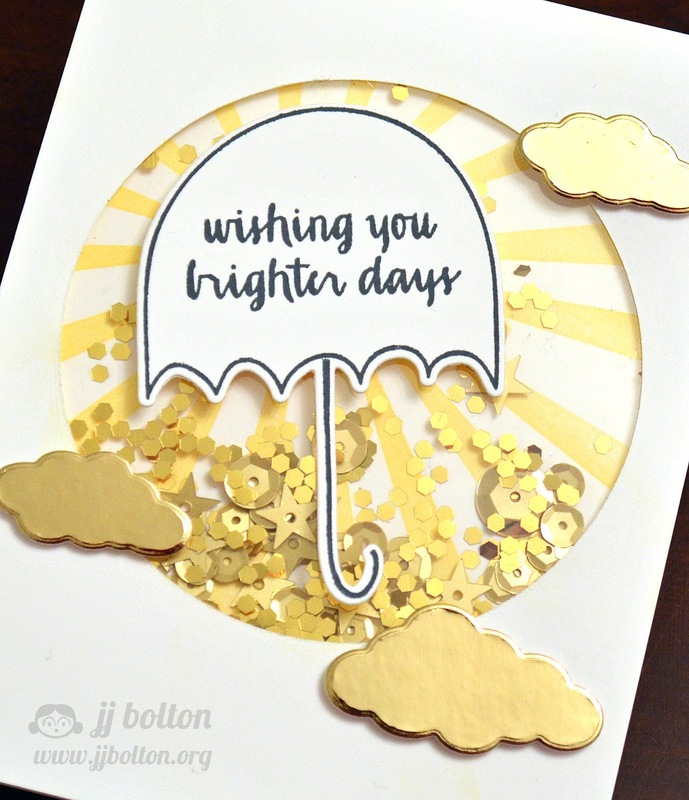 To make this shaker card, I first stamped the card base with the sun rays from Bright Days. FYI, I use this 1/4" foam tape to make my shaker cards. This tape is thin and you can cut slits about every 1/2" to make it easy to curve around circles. It's a little pricey upfront, but the rolls last forever. Plus, it makes shakers super easy! Speaking of shakers, I filled it up with gold hexagon glitter, sequins, and stars:) I finished it off with shiny gold clouds that I cut with the dies that are also in the Weather It die set. I love the shape of these clouds! So pretty, JJ. Thanks for the inspiration. 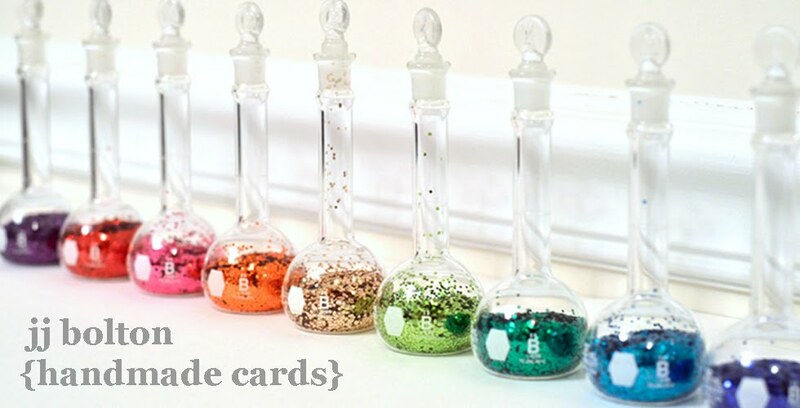 I just remembered I have some very chuckle glitter that I should use in my shaker cards. Did you just hear me gasp? What is not to love about gold clouds and sequins, LOVE!!! Oh, JJ...this is fabulous! I love your clever design, and how you turned it into a fun shaker card...and all that yummy gold is so cool! Thanks so much for the tutorial! I hope you and your family have a very Happy Easter! Awesome shaker card! Love the gold clouds!! This is such a happy card! 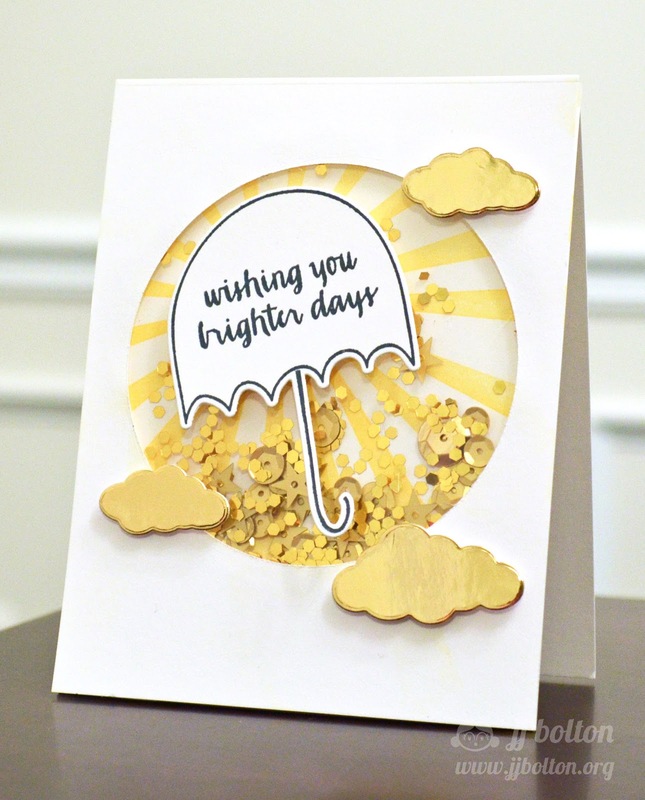 Love all of the gold and that you stamped the sentiment on the cool umbrella :).